Hello tech savvies in the house, here comes how to root your smart Android device Tecno Camon C8 and any Android Marshmallow without the need for PC/laptops. As a tech geek you are, you would want to explore more when using your android smartphone and due to such, the newly or old bought device gotten by you needs rooting in order to expose some of it's great feature to you as the user. Now, let's get your android device rooted within a space of 5 minutes, as you read on. Denote that, method of rooting android phones differs from phone to phone. And you can easily get older version of android OS rooted without any issue or delay, some of the android OS include lollipop, KitKat and others etc. while some of the newer versions of android OS may be difficult to root. As it was before, rooting phones like tecno camon C8 and most other Android lollipop and marshallow phones requires much or long process that instruct one to use PC. And this effect was due to non exploit that automatically root such phones on one click root apps, like old version of KingRoot etc, doesn't exist in the apps. 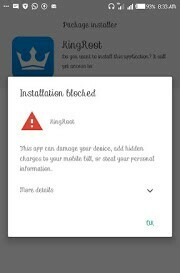 But the good news now is that, KingRoot as one of the top rooting app it has been, has a latest version updated with the newer exploit that can go a long way in rooting almost all android phone running on Android 6.0 marshallow including the tecno camon C8. How To Format Or Hard Reset All Tecno Android Smartphones. Download The Latest GBWhatsApp Version, That Can Install up to 4 WhatsApp Accounts on One Android Device. How to Install Mediatek USB Preloader Vcom Port Driver On Windows PC. 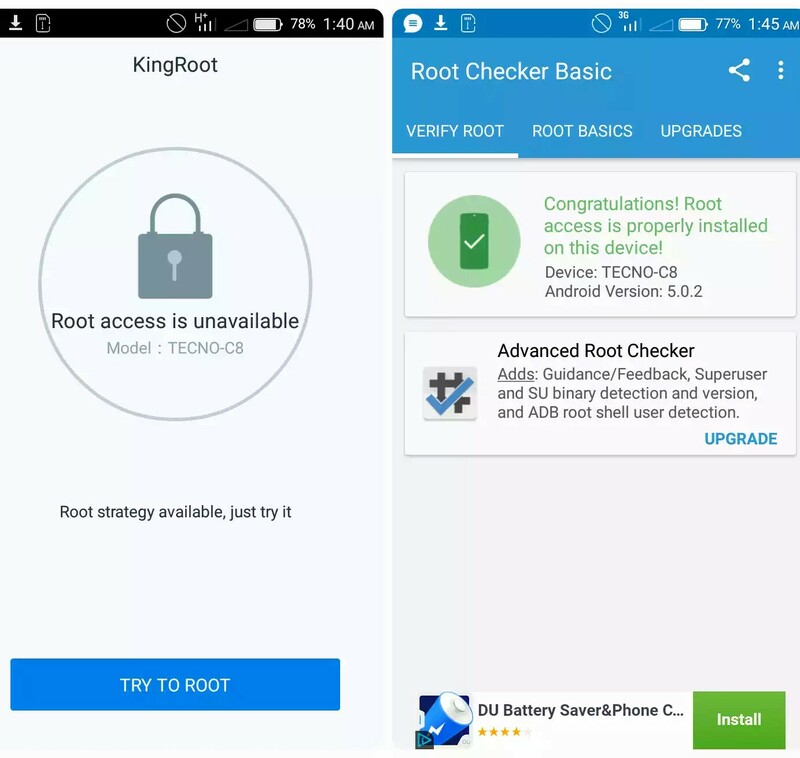 How to Root Tecno Camon C8 And Android Marshallow phones With Latest KingRoot App. >> Get your phone ready, and download the latest KingRoot app here. >> Next, Install and launch the KingRoot app on your device. NB: Should incase you get an error message, "installation blocked" just click on the arrow beside more details and and then click install. >> Ensure you have upto 50 to 100% charged battery before carrying out the process. >> Now once the kingroot app finish loading, just click where you see "Root" and then wait for the app to execute its rooting on your phone. >> That's all for rooting your Camon C8 And Android Marshallow phones. 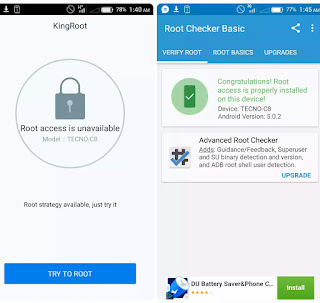 To check if your phone was successfully rooted, then you need to download an app called "root checker" from Google playstore. Got any contribution, question or wish to appreciate our work here? Just kindly use the comment box below, thank you.